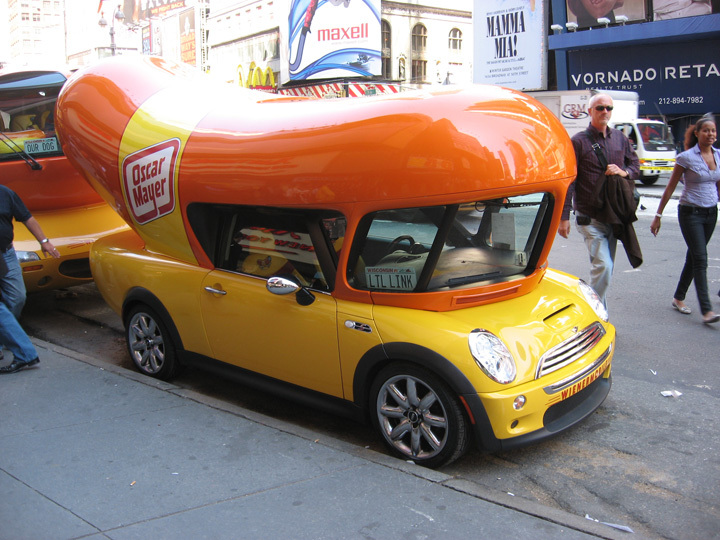 It was National Hot Dog Day the other day and we'll be frank with you, we relish the opportunity to play ketchup and look back on some 'dogs we've seen while rolling down the open road. 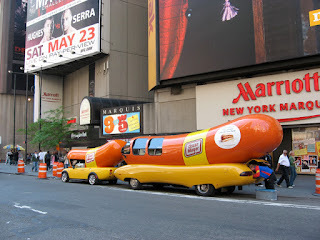 Please take a moment to see if these cut the mustard. This brat-armed muffler man stands watch over Atlanta, Illinois on Route 66. 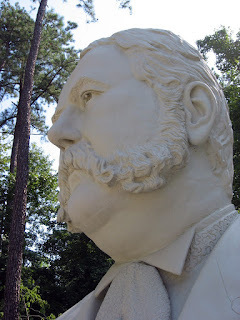 Read our post about him here. 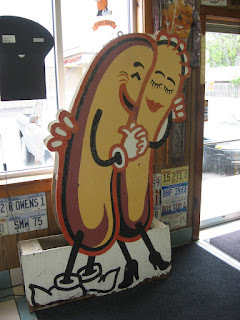 ...and an awesome married couple of hot dogs as their logo. Read about them here. 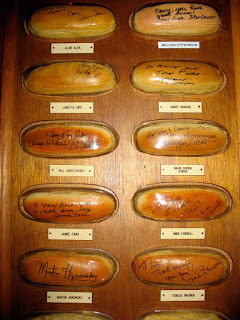 Tony Packo's of Toledo, Ohio has their walls covered in autographed facsimilies of hot dog buns (Burt Reynolds started the tradition). 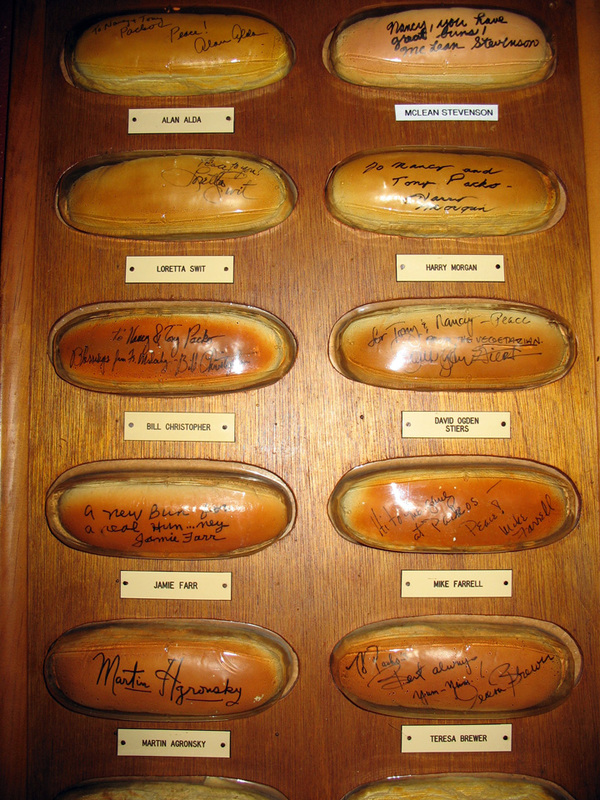 Toledo native Jamie Farr of TV's "M*A*S*H" mentioned Packos in an episode or two of the show, and the entire cast signed buns seen here. 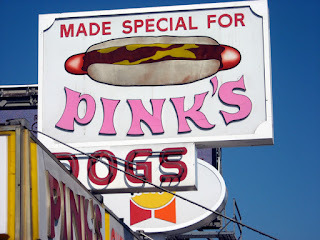 Pink's of Los Angeles is where the celebrities like to mix with the common folk whilst dining on dogs. Here's our post. 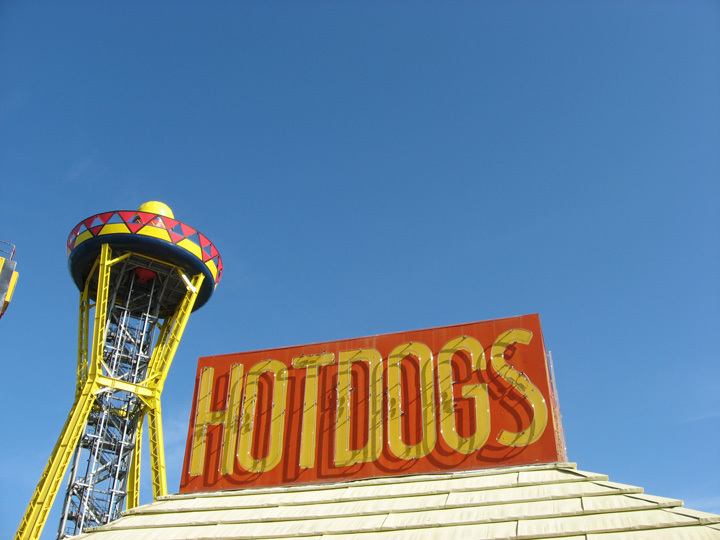 Dillon, South Carolina's kitsch-tastic South of the Border offers hot dogs from this neon gleaming stand. ...including this guy called Lil Link. Rhode Island is quite fond of hot dogs, including this model from Providence's famous Haven Bros. cart. There's another kind of dog in Little Rhodey called the hot weiner, or New York System, which people from New York have never heard of. It consists of a spicey meat sauced-covered frank, dressed three at a time upon the arm of the chef (until the state health department said that was unsanitary). 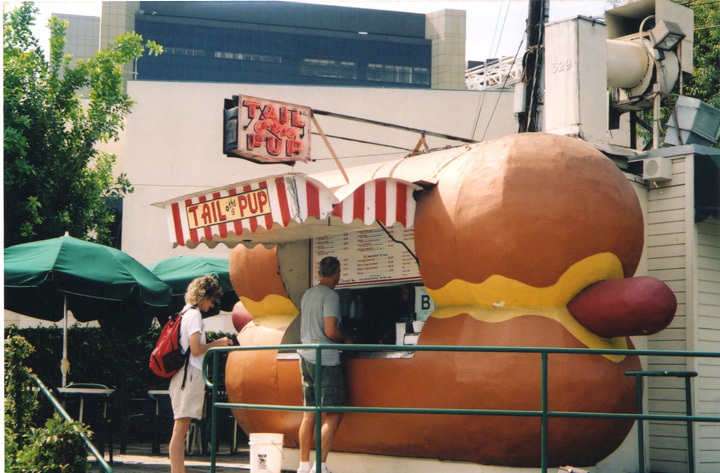 We were extremely fortunate to have dined at Los Angeles's famous Tail-O-The-Pup back in 2004. 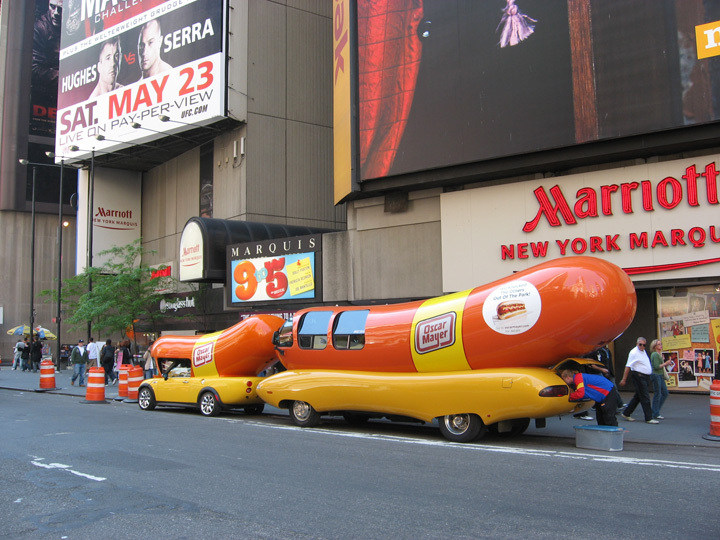 It went out of business in 2005 and was put in storage until 2014, when its new owners had it moved to Las Vegas for restoration and hopes for a reopening back in LA. 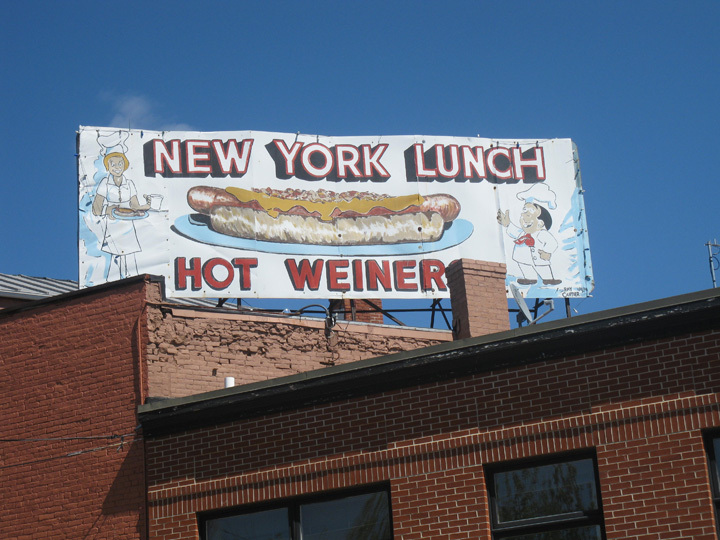 Bravo to them...we never sausage a beautiful place. Click here for a nice video from the Vintage LA website all about it. 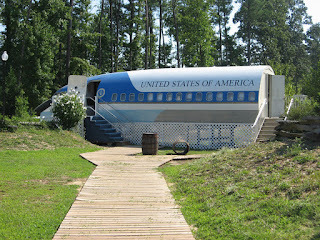 ...and they even had a chunk of Air Force One. 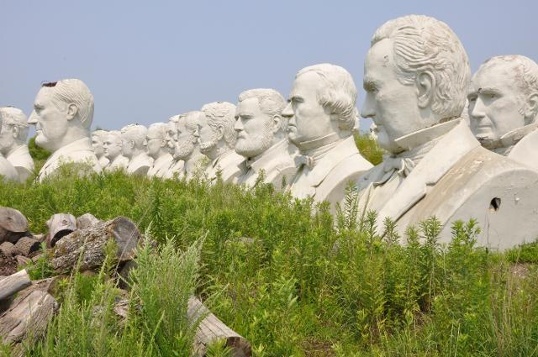 Today, the statues sit in a field in Croaker, Virginia. 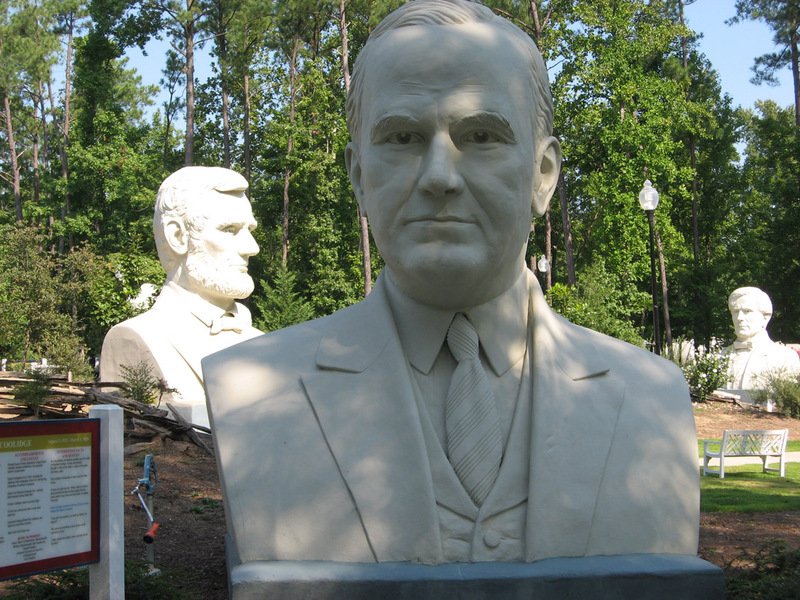 There's hope, though, because a fellow is putting up some money to reopen the attraction. 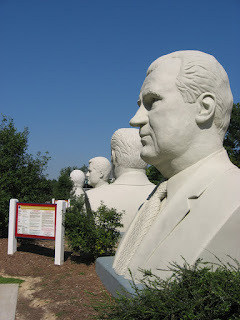 These pictures are awesome and are credited to Christopher Smyth on the WBAL-TV website. I think this would make a great set for a low-budget horror flick, don't you? 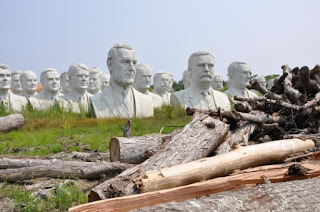 One of the sad realities of taking roadtrips over many years is the mortality rate of some of the beloved places we have visited. 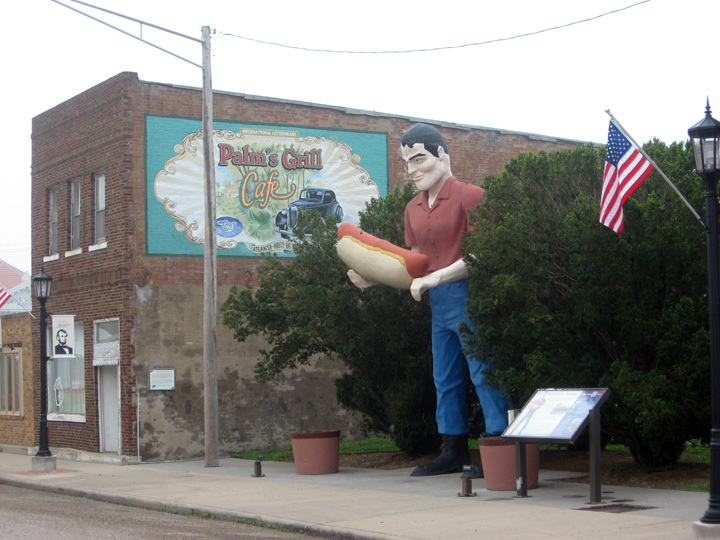 All too often, an eccentric roadside attraction cannot stay in business or gets ordinanced out of existence. 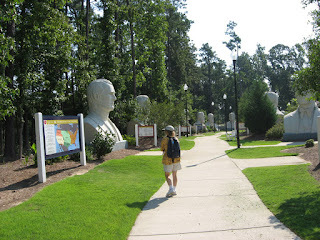 Such was the case with Presidents Park of Williamsburg, Virginia. 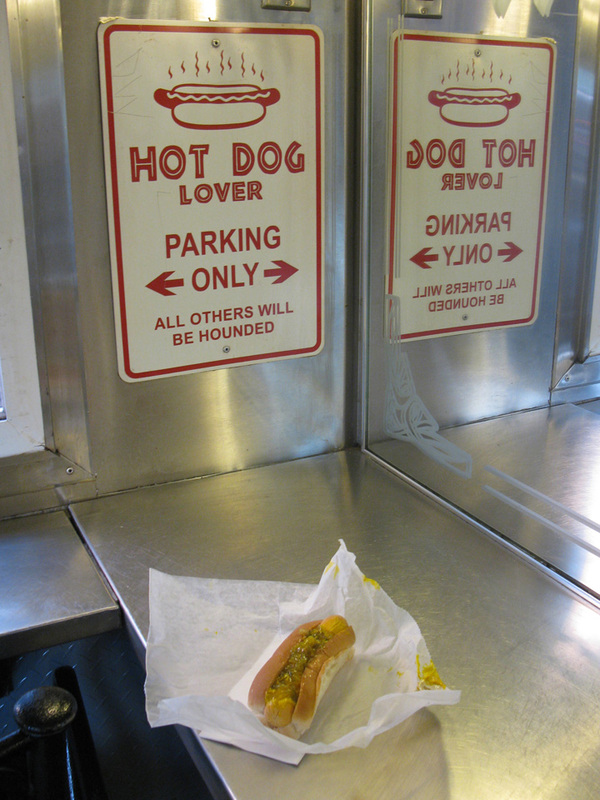 We were lucky enough to visit this spectacular place back in its 2007 hey-day. 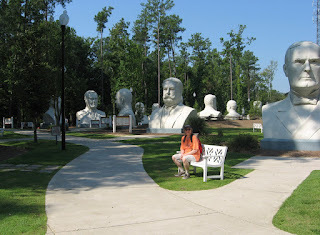 It was a lovely, tranquil, educational, pleasingly nutty place with 18-foot busts of each U.S. president and plaques with presidential information and history. We marveled at how lush and educational it all was, and in a perfect location since nearby Colonial Williamsburg draws people already interested in U.S. history. 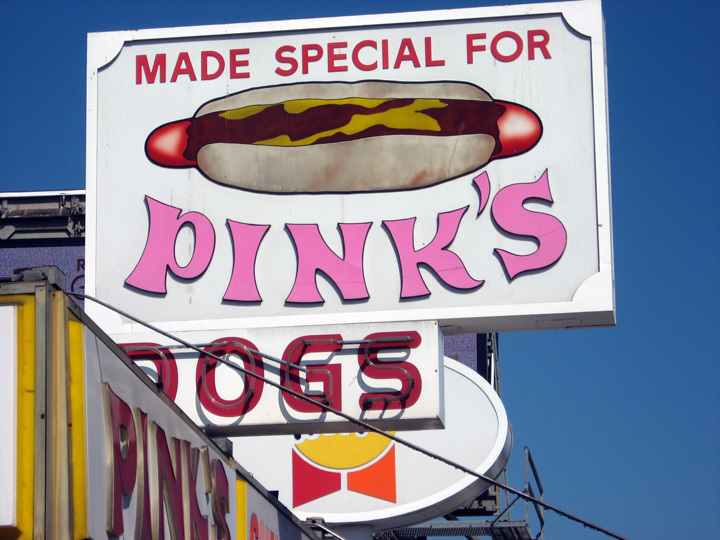 The owners couldn't keep it going, though, and it went out of business in 2010. The busts were then moved to a farm field in Croaker, Virginia. 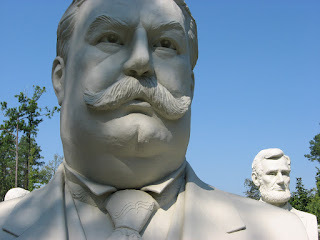 But there is now hope on the horizon according to a dispatch from WBAL-TV's website. A Mr. Howard Hankins paid $50,000 to have them moved again and is also paying for their restoration. 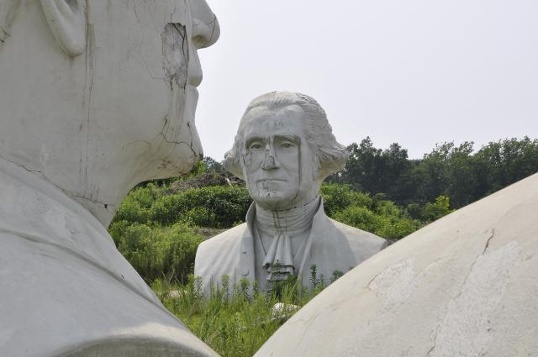 He wants to find a new location in Colonial Williamsburg and reopen the park. Hooray for you, Mr. Hankins. 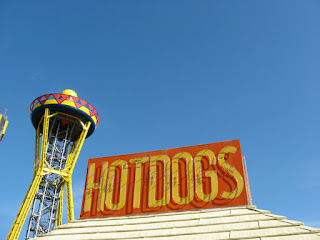 We loved this attraction and wish you the best. 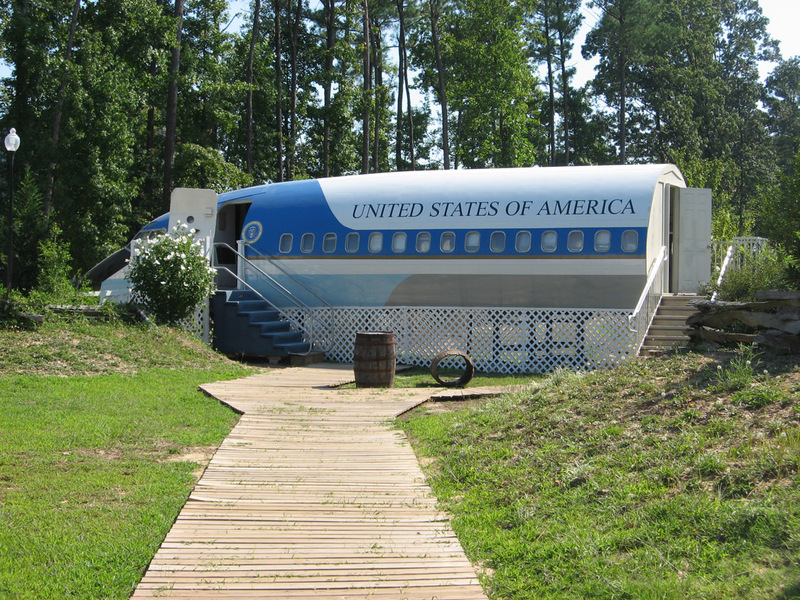 Perhaps it could be a miniature golf course...a Watergate water hazard around Richard Nixon, a James K. Polk "Manifest Destiny" hole, perhaps. 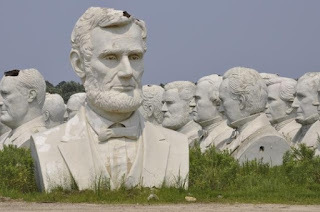 We need a place where Democrats, Republicans, Whigs and Know-Nothings can comingle harmoniously. I vote for that. 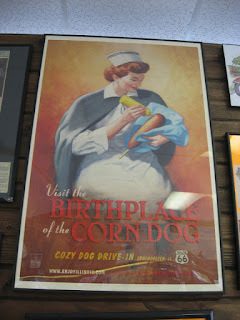 Click here for another good website with lots of info. Death Valley's Borax Museum: Chock full of minerals! 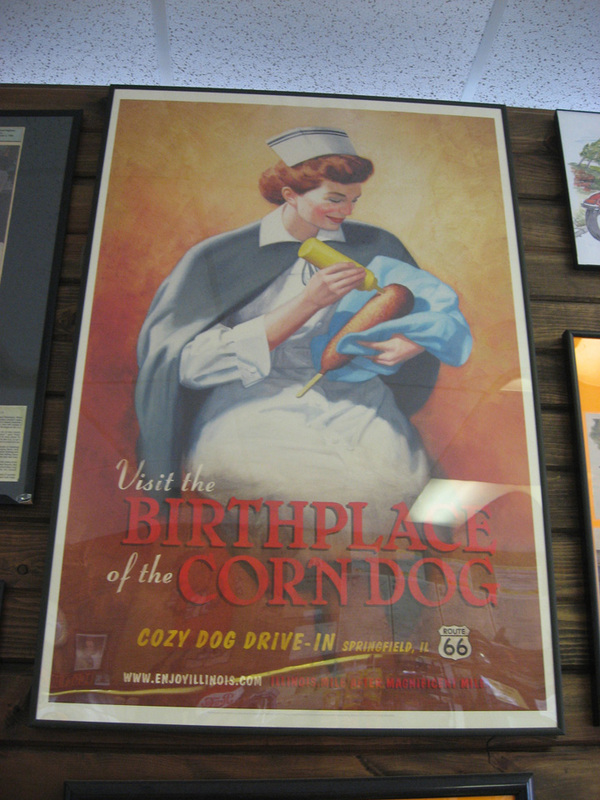 Death Valley is an eccentric roadside attraction unto itself. People look at you funny when you say you're looking forward to visiting there, but it's a stunningly beautiful place and home to a really swell offbeat museum. 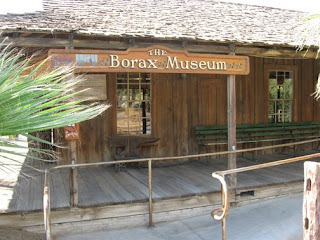 The Borax Museum sits in the oldest structure in Death Valley, a house constructed in 1883 by F.M. 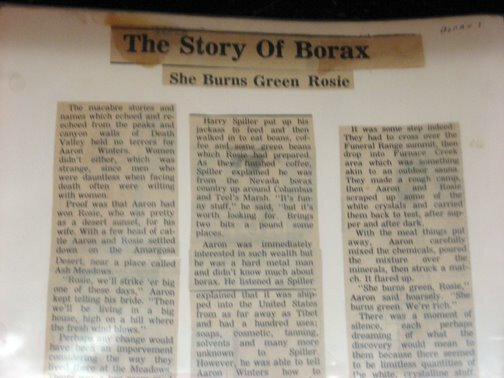 "Borax" Smith, founder of the Pacific Coast Borax Co. If I ever decide to have a nickname, I think "Borax" would be a pretty cool one. 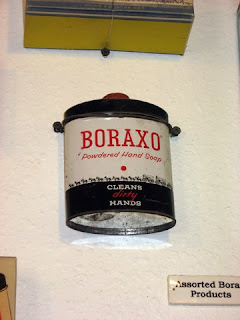 Borax, or sodium borate, is a non-toxic laundry product that could also clean and deodorize virtually anything in the house. In the late 1800s, a large deposit of it was found in Death Valley by a small-time miner, who made a fortune when he sold it to a San Francisco businessman. 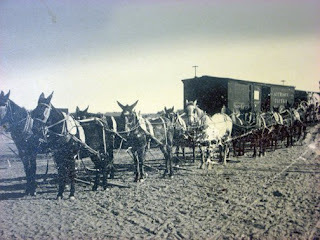 The location was so remote and ungodly hot that 20-mule teams were needed to haul the borax to a more hospitable processing location. 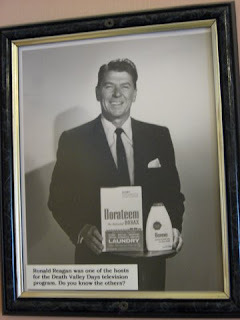 People of a certain age are familiar with this scenario from the popular radio and TV series "Death Valley Days," at one time hosted by Borateem-pitchman and future president Ronald Reagan. 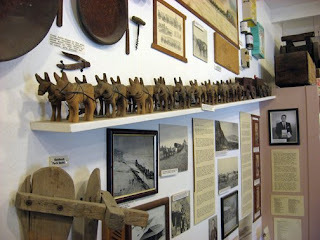 The museum is in the Furnace Creek development of Death Valley and features lots of photos and artifacts and a friendly gal that will tell you all about them. 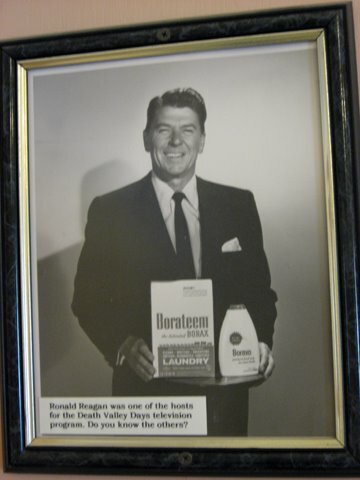 A lot of sweat and toil was put into this product that's mostly forgotten today, but Borax may make a comeback as a green alternative to regular detergents. So stop in and see The Borax Museum... mule be glad you did (and that's not an empty pumice).